The chief executive of the Zimbabwe Broadcasting Corporation Mr Happison Muchechetere, who is on leave pending a forensic audit, was earning a salary and allowances totalling nearly US$40 000 per month while workers went for more than six months without pay.Mr Muchechetere, who became substantive chief executive in May 2009, has drawn salaries and allowances approximated at US$2,28 million to date. This was revealed yesterday during a follow up meeting to discuss challenges faced by ZBC between Information, Media and Broadcasting Services Deputy Minister Cde Supa Mandiwanzira, acting ZBC chief executive Mr Allan Chiweshe, management and workers’ representatives. Mr Muchechetere was sent on paid leave last month to pave way for a forensic audit to be undertaken at ZBC after Information, Media and Broadcasting Services Minister Professor Jonathan Moyo dissolved the board led by Mr Cuthbert Dube after it failed to submit a turnaround strategy document within the 14 days it had requested. 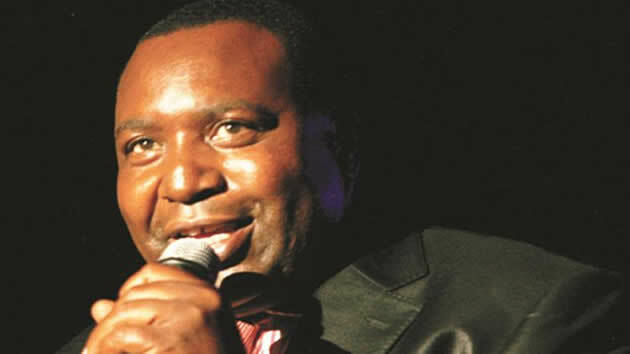 Mr Muchechetere’s salary included US$3 000 as entertainment allowance, a US$2 500 allowance to pay his domestic workers, US$3 500 for housing allowance and US$3 000 as a general allowance. Apart from this, Mr Muchechetere was also receiving unlimited access to fuel every month, five business class air tickets for him and his family to any international destination of his choice, three regional tickets and unlimited local air tickets every year. Addressing journalists after the meeting at Pockets Hill in Harare, Deputy Minister Mandiwanzira said it was shocking that management was earning that much while workers had no salaries. “In the meeting, some of the information that came out is quite shocking. The chief executive earns US$27 000 plus. Over and above that, he earns US$3 000 allowances for housing, US$3 500 housing allowance, US$2 500 another allowance, US$3 000 for home entertainment, unlimited business entertainment allowance, the corporation must pay off his mortgage facility, must build a durawall, must build an entertainment centre at his premises and we think in the context of reducing expenses and expenditure of the organisation these things need to be looked at,” Dep Minister Mandiwanzira said. He said the ministry was glad that management had taken an initiative to start cutting their salaries by 40 percent and that of middle management by 30 percent and 20 percent. “Workers’ representatives who were part of this meeting were shocked by these numbers and they complained bitterly that the disparity between management salaries and workers were not only shocking but appalling,” he said. The deputy minister said ZBC should operate viably and operate within the confines of its earnings. “We (Government) cannot support an institution, which does not relate its earnings for either staff or management to performance,” he said. Dep Minister Mandiwanzira said management had indicated that it would ensure that workers got salaries before Christmas. “I want to assure workers that the ministry is working hard to ensure that salaries are paid at least by the time we go for Christmas. There are efforts underway right now and the ministry is engaging with Treasury to ensure that there is some kind of assistance to pay salaries at ZBC,” he said. Dep Minister Mandiwanzira said the Audit Comptroller General would soon issue a tender to an auditing firm to undertake the forensic audit at ZBC. Salary: US$27 000 per month. Domestic workers’ salaries: US$2 500 per month. Entertainment allowance: US$3 000 per month. Vacation: Five business class air tickets annually, three regional business class air tickets annually and unlimited local air travel. Additional package: ZBC servicing his mortgage, constructing an entertainment centre at his house and constructing a security wall.